We give you plenty of options to customize your Tithe.ly ChMS account, such as adding your logo and choosing your colors. Simply navigate to the Settings and once the page loads click the Layouts link which will then load your list of layouts. Most of the time you will use the same layout for all your people, but if you want something more custom and are wanting to set up different layouts for different departments (for example, the Kids Team can have their own layout), this can be achieved by adding multiple layouts. Each layout has its own sub domain, so for your people, it is like they are accessing their account from a totally different website. However, all the data is still pulled from your one Tithe.ly ChMS account. This way you can manage multiple department websites from the one account. If a volunteer is a part of two departments with different layouts, will they have to login to both sub domains to view their roster? There might be a case where a volunteer is a part of your Music Team and your Kids Team. If both of these departments have their own layout and sub domain, no matter which sub domain they log into, they will be able to see their roster for both departments. They are basically logging into the same system, the only difference is the sub domain and layout are different. Layouts are not restricted to volunteers within certain departments. 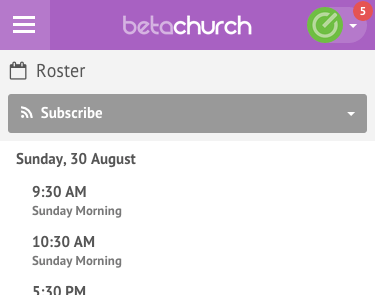 All volunteers can log into any layout, and their roster, posts, etc will all contain the same information. The only difference is the visual appearance. Instead of accessing your account at yourchurch.tithelychms.com, you can set up a Custom Domain for the people at your church to access. Please note that any traffic going to the custom domain will get redirected to the secure Tithe.ly ChMS site address for your church. Read more to see how you can set up a Custom Domain in Tithe.ly ChMS. The Member Area allows you to configure the logo, header background color, header background image, header height and navigation background and text colors. The Admin Area allows you to configure the logo and header background color. Please note, in the Member Area, the header background image and height only apply to tablet and desktop devices. You can use your own logo at the top of every page. Keep in mind all your people will see this logo, so generally it will be the logo of your organization. We recommend a 390x78px for the size of the logo. 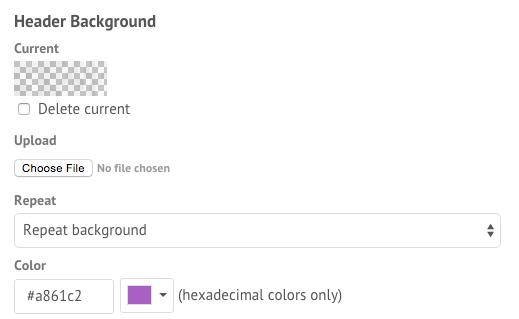 You can set the height of the header and the color of the background behind the logo or background image. Please note, the header height and background image only apply to the Member Area. You can set the main menu background and text color. This applies to the Member Area only. You can set the login page to use the same logo and color as you Member Area, Admin Area or a custom selection.